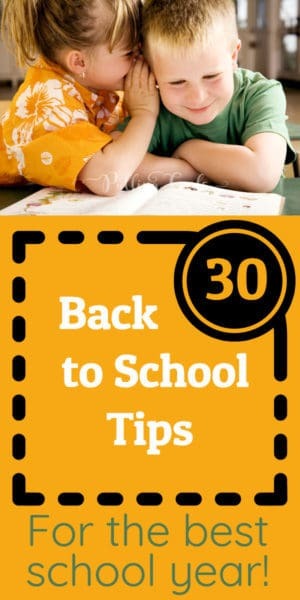 Over 30 Back to School Tips You'll Love! You are here: Home / Parenting & Family / Over 30 Back to School Tips You’ll Love! Over 30 Back to School Tips You’ll Love! School always seems to creep up on me like a stranger in the night. I feel like we have miles and miles of time before school starts. Then, WHAM — it’s school! 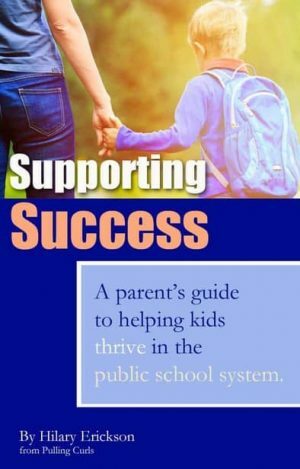 I created my book, Supporting Success to help moms be more prepared for school. I recommend you check it out! I also asked some of my favorite Mom Blogger friends to share their best back to school posts. Anette from Tips from a Typical Mom has 29 easy breakfast recipes for school, she also has a typical morning routine checklist. I have found that my favorite lunch boxes are like these (because they are super easy to store in your backpack), and I LOVE these containers! I have a great post that gives some of my best tips for getting lunches made fast! Anette from Tips from a Typical Mom has tips and tricks for easy school lunches. My MommyStyle has some awesome fun lunch ideas. Love these tips at Super Mom Hacks for better school lunches! I have a post all about coping with new school anxiety. Lara from Overstuffed has 9 ways to help your child adapt to a new school (Lara did a semester away last year so she knows from whence she speaks). She also did a post on dealing with school transitions. My after school checklist has been pinned thousands of times! I have a great post all about saving on your back-to-school budget! Lara from Overstuffed does a back-to-school feast each year (that’s last year’s and it has links to her other years). 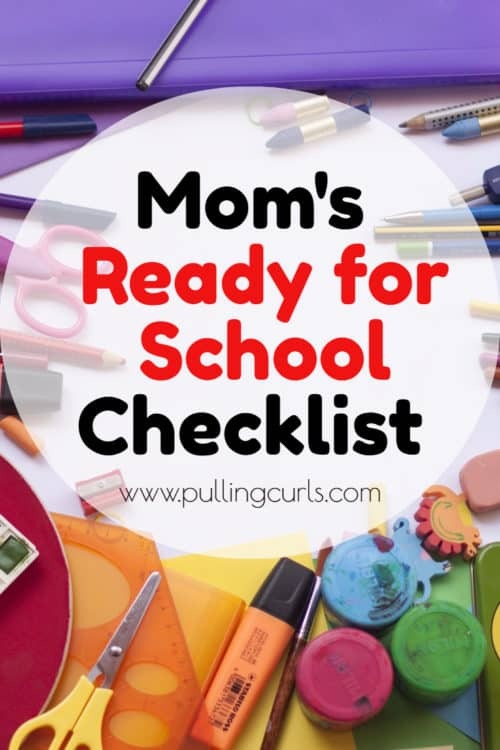 Anette has a back-to-school bucket list and also has tips for mommies at back-to-school time. Anette also has some awesome tips for getting your kids ready to go back to school. My Mommy Style shares some great ways to save as you head back to school and she also has a comprehensive back-to-school checklist. Loved this post about back to school anxiety — seems like we don’t talk about that enough (and I have a couple of kids who suffer from it). This post teaches you how to be a spy in the guise of a volunteer. I have a post detailing what it’s like to be PTO (like PTA) president and if it’s something you’d want to consider giving your time to. I also have a post detailing what your PTO president really wants (and gives some ideas on how to best volunteer at school). I ran our school carnival for a few years, and gave some tips and tricks in this series. I use office hours to help set limits on my help with after school homework. I also don’t make a secret that I don’t love homework in this post where I ask if it’s worth the stress. I have a post about what to do when your child wants to quit something. I have another post about talking to teachers and another post all about teachers. I hope you find these helpful and don’t miss my book Supporting Success available now! Want more tips and tricks like these — check out this back to school printable pack, provided by some of my favorite Mom Bloggers (you can learn more about it here).